SB, 22 Oct 2014Hey guys, I want to purchase this phone. Features are good, it's in budget, and the user revie... moreboth sims are working good with 3g service and also 32gb sd card suported. works all well. screen is not scratch resistant so need screen guard. battery is removable. Anonymous, 26 Oct 2014Yes...kitkat verson will avalable in early 2015from which source you can say that canvas 2.2 will get 4.4 update in early 2015? AnonD-326712, 02 Nov 2014Hi,i want to buy dis handset..will anyone plz tell me if the apps can be moved or intalled in ... moreHi....yes it has otg support. And also u can move any apps to external sd card in this phone. 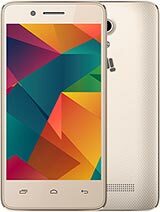 Believe me, its a really very good phone in canvas series as I am using it for 8months, which I had bought at price of 10600rs from showroom, but now a days, u can buy it in below 8500rs. 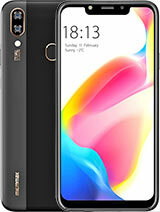 Hi,i want to buy dis handset..will anyone plz tell me if the apps can be moved or intalled in external sd card? If yes then how can i do it? And does it supprt otg cable?? 2. I didnt see any lag...in daily usage.. Though i have not played heavy games..
my phone suddenly hanged out and i gave my mobile to service centre two months ago and till now i didnt recieve my mobile from the service centre. what should i have to do? phone are good....i had purchased last week after long servy but why my sim 2 network off often...& bettry doesn't work properly anybody help me out ? vickyyy, 29 Oct 2014Guys i bought it yesterday phn is very good but there is two problem only 1 is smtimes sim net... moreU should check ur sim network possibilities correctly. May be ur sim network will not be good enough. Because there is no any problem in this phone as u said. ssk, 30 Oct 2014Dear all pls dont purchase a114 because its an problem in proximity sensor. 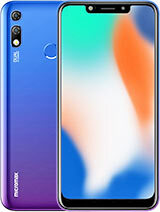 the sensor are not... morePlz don't say everyone for not to purchase this phone. 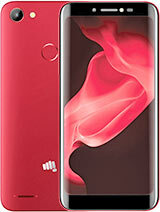 This is the best phone in micromax series. Its proximity sensors also works best in sun light as well. If it is not working in ur phone, its ur particular mobile set fault, not in all phones. 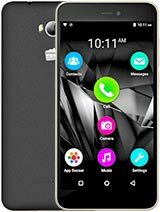 recently i purchaded this mobile it is good, heating and hanging problems is less while compare to other micromax mobiles. but the back panel was little delicate and little camera calarity is less. it is best in while compare to other mobiles in dis price level 7500 is best..
Guys i bought it yesterday phn is very good but there is two problem only 1 is smtimes sim network will gone fully 2 is the battery drains fast ..
pranksy, 20 Oct 2014read this. this says kitkat 4.4 is available.No till today kitkat upgrade is not available. Even custom rom of real kitkat is also not available.